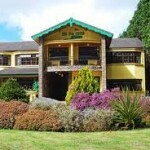 The 19th Green guest house Bed and Breakfast offers everything you are looking for in an Irish Vacation. Located in the heart of Killarney, it offers access to a variety of sights to see and activities and will even organise a tour for you. With access to Killarney National Park, the Killarney Golf & Fishing Club, the Gap of Dunloe, and so much more, you can get the most out of your trip to Ireland in the comfort of this charming guest house. For those who love the great outdoors, Killarney National Park is a must see . It is truly is a natural playground. Go climbing up the highest peaks in Ireland or go backpacking through the Black valley and have a picnic by the world famous Killarney lakes. The 19th Green guest house can also provide packed lunchs for you. With 26,000 acres of open space, walking in Killarney is an eye popping experience. You could walk a new path everyday, never seeing the same sights twice. There are paths all kinds, ranging from those that loop you back to the start in 30 minutes to the 90 minute walk through the gorgeous Gap of Dunloe. At the center of the National Park is the historic Muckross House, a 19th century Victorian mansion located by one of Killarney’s three lakes, Muckrosss Lake. Here you can check out an architectural wonder as well as a working farm that give you a glimpse of Ireland as it was back in the 1930’s. Horse riding in Killarney is very popular and can be a great way to take in the sights. There are several stables in the area to choose from that offer rides to all ages. 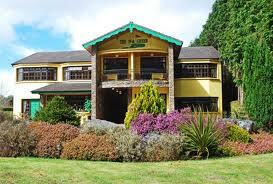 The 19th Green guest house is happy to help you book whatever kind of ride you are looking for through the park whether it be short or long, up the mountain trails or along the beaches of the Killarney lakes. Golfing in Killarney has never been better. The 19th green guest house is nestled in between 2 championship golf courses. The landscape is breathtaking, making a golfing vacation all the more spectacular and relaxing. With every skill level course to choose from, you can put your skills to the test or just take it easy and enjoy yourself. For those days when the weather doesn’t hold out, the 19th Green guest house even offers a drying room. The landscape of Killarney will captivate you and quickly become one of your favorite vacation spots. The 19th Green guest house Bed and Breakfast can help you get the most out of your trip. Besides offering cozy accommodations and a luxurious residents lounge, the 19th green guest house offers to arrange tours of the area, suggest local restaurants and pubs, secure bicycle storage, and an authentic Irish breakfast made from fresh, locally sourced ingredients.